A journey of Michael Pascoe's academic sabbatical to England and his studies at Kew and the University of Sussex (2006-07). All-America Rose Selections is a nonprofit association dedicated to the introduction and promotion of exceptional roses. The AARS runs the world's most challenging horticultural testing program, and consistently recognizes roses that will be easy to grow and require minimal care by today's busy homeowner. The Alpine Garden Society was founded in 1929 with the aim of promoting an interest in all aspects of alpine plants, their cultivation in rock gardens and plant conservation in their natural habitats. We are one of the largest specialist garden societies in the world. Our membership includes amateur gardeners, plant enthusiasts, professional growers, botanists, naturalists, photographers and artists, as well as those who are just beginning to discover the fascination of alpines. Founded in 1940 as the American Association of Botanical Gardens and Arboreta, the American Public Gardens Association (APGA) adopted a new name in 2006. Over the last six decades, the APGA has emerged as the premiere association for public gardens in North America. Today, APGA's 500 member institutions are located in all 50 states, the District of Columbia, Canada and seven other countries. The Association's individual members live in every state, the District of Columbia, Canada, and 24 other countries. The APGA is committed to increasing the knowledge of public garden professionals throughout North America through information sharing, professional development, networking, public awareness, and research so they have the tools to effectively serve visitors and members. Coordinating biodiversity monitoring across the Arctic The Circumpolar Biodiversity Monitoring Program is the “network of networks” coordinating the hundreds of marine, terrestrial, freshwater and coastal monitoring programs in the Arctic. It gathers, integrates, analyzes and reports data to inform policy. The Atlas of Florida Vascular Plants is a joint effort by the Institute for Systematic Botany, the University of South Florida and the Florida Center for Community Design and Research to provide users with a comprehensive searchable database of vascular plants in the State of Florida. This Guide presents detailed information on a range of Australian plants - Acacia, Banksia, Grevillea, Callistemon, Eremophila, Leptospermum, Melaleuca, Kangaroo Paws and many others. Click on the following links for further information on the natural distribution, cultivation, propagation and of the indicated genera and families. The designation of Northwestern Ontario Forest Capital of Canada 2000 included a number of legacy projects, one of which was the Boreal Forest Website. The site was originally designed by Aki Peltonen (Stonehaven Innovations) and was modified and transferred to Lakehead University Faculty of Natural Resources Management in the spring of 2002. The site will continue to evolve with new additions such as international forestry and materials aimed at a young audiences. Botanic Gardens Conservation International Canada. To adequately protect plants and their habitats, conservation efforts and public awareness of these efforts must improve. Canadian Botanical Gardens host over 4.5 million visitors per year and are important science and educational facilities, providing leadership in plant conservation and public education. The society traces its origins back to 1836, when it was founded as the Botanical Society of London. From its earliest days it has welcomed both professional and amateur members, and it remains the biggest and most active organisation devoted to the study of botany in the British Isles. The group is a collaboration between, but not exclusive to, former local groups representing The Botanical Society of the British Isles and The British Pteridological Society (ferns). Some members also belong to other societies such as The Wild Flower Society and the British Bryological Society (mosses and liverworts) and belong to charities such as Plantlife. The Society is a registered not for profit organization that has 30 000 members spread across the world. The Head Office of the Society is situated at Kirstenbosch where a small group of core personnel service and support the branches and manage projects along with the normal administration functions required by a large organization. By being a member of the Society one is part of a large group of individuals from around the world that support the mission and objectives of the Society. The first Annual of the Society was published in 1938 under the heading of THE FUCHSIA ANNUAL 1938. The official publication of THE FUCHSIA SOCIETY. However, it was during 1937 that the idea of a Fuchsia Society was born, when Clara Lady Boothby met several other Fuchsia enthusiasts, I therefore quote her opening Presidents Address to the Society published in the first Annual. If you have discovered the wonder and beauty of growing cacti or succulents, this site and this Society is the gateway for you to expand your collection and knowledge and join the enthusiastic throng of members who share your delight. To increase knowledge about Hosta and Hemerocallis (daylilies), we, answer botanical and cultural queries, give advice on the control of pests and diseases, publish information concerning Hosta and Hemerocallis and operate a library service for literature. The British Iris Society was founded in 1922 by Iris enthusiasts whose interests were primarily to establish a forum for the exchange of views and knowledge of the genus. Over the years the society has attracted lovers of irises who wish to enjoy and share the delightful beauty of these flowers. The Society was founded in the Lake District in 1891 and soon became the focal point for fern enthusiasts throughout the British Isles. Today it continues to provide a wide range of information about ferns, through its website and forum and by publishing regular journals, leaflets and books, and organising formal talks, informal discussions and outdoor meetings. CactiGuide.com went live on May 5, 2002. Once I had the basic architecture of CactiGuide.com built, the next step was to gather content. I started taking pictures of plants that grew wild around Southern California and those that I had growing in my back yard. I then visited local cactus nurseries and local botanical gardens that I knew had cactus collections. I've also visited the Desert Botanical Garden and the Boyce Thompson Arboretum in Arizona and the Southern Arizona cactus-filled parks: Saguaro and Organ Pipe Cactus. I have been fortunate to explore cacti in Baja California and hope that some day I might visit mainland Mexico, then Central America, and ultimately the countries of South America. Admittedly, these are lofty goals for a man of my means and they won't be realized for years. Hence, CactiGuide.com will continue to be a work-in-progress long into the future. Last, but not least, there have been many other cacti enthusiasts who have joined with me to help provide images and other information to help "complete" the guide sooner. Nine zones indicate the areas where various trees, shrubs and flowers are most likely to survive. These zones are calculated based on average climatic conditions and altitude of each area. The harshest zone is 0 and the mildest is 8. This site is our link to all of Canada and the world. This country of ours is diverse, the second largest in the world after Russia, with 9 zones of plant hardiness. OUR MISSION STATEMENT? We want to interest the expert rosarian and help the novice. The Canadian Artists Rose Program was born out of a vision for the defunct Agriculture Canada rose breeding program. The bank of more than 15,000 rose cells in Agriculture Canada's plant vault was too important a collection to be set aside. The Program has since been driven by a series of successes in providing Canadian gardeners with the best choice of tough roses for our diverse climatic conditions, beginning with the introductions of 'Emily Carr' and 'Felix Leclerc'. Biologically, the world is an astoundingly diverse place. It contains tens of millions of species, only a fraction of which have been identified. Canada's diversity of lifeforms and ecosystems is also large. Its landforms range from rainforest to desert, with mountains and plains, and each has species adapted to the conditions present there. Despite this diversity of life and land, most people have little idea of how diverse the country really is. The Canadian Botanical Conservation Network's (CBCN) objective is to preserve the biological diversity of Canada's rare and endangered native plant species, wild habitats and ecosystems through the education and conservation programs of its members, including botanical gardens and arboreta. In order to protect Canada's resource base the following pests are regulated. Pests in this list are linked to the policy directives that are available electronically from 1994 on, but some may also be referred to in directives dated prior to 1994. The list may be revised at any time. The mission of the Center for Invasive Species & Ecosystem Health is to serve a lead role in development, consolidation and dissemination of information and programs focused on invasive species, forest health, natural resource and agricultural management through technology development, program implementation, training, applied research and public awareness at the state, regional, national and international levels. The Centre for Middle Eastern Plants (CMEP) is an authority on the Middle Eastern environment. We work with local partners to tackle contemporary environmental challenges including sustainable development, biodiversity conservation, water conservation and climate change. To promote the enjoyment, understanding, and conservation of plants and the natural world. Very little information about Coleus cultivars is published in books and articles, but a lot of information can be found on the internet. This information is very scattered and sometimes difficult to find though. This portal has the goal to aggregate this scattered information together, to get a clear overview of the existing cultivars and their availability and also to get some clues about the correct naming of the cultivars. The primary aim of The Delphinium Society, which was established in 1928, is to promote the growing of delphiniums and larkspur by means of educational, instructional and advisory services to our members. The website is a co-operative project/partnership, involving a number of individual participants [see bottom of this page], some representing present or former parent institutions or agencies, others representing themselves. The website was begun, originally, to serve as a working image resource for the Newfoundland Rare Plant Project. Rights to the images and data included remain with the various individual partners. Is the largest database on the internet on Indian Flora with more than 12,000 species (along with more than 3,00,000 pictures It also includes some species from around the world, which has been posted by our members. More than 1,00,000 images have already been displayed on the species’ pages along with genera & family pages for comparative purposes for easy identification. E-Flora BC provides information on the biogeography (distribution and ecology) and identification of each wild plant, lichen, and fungi species of British Columbia in an atlas page format. Links to worlds electronic floras. An online resource for monocot plants. Discover a wealth of information about monocot families, genera and species. Explore 277,033 taxa, 13,134 images, 32 identification keys and 44 phylogenetic trees. A collection of images and information by the New York Botanical Garden on the plants of Belize. This arid piece of land and its adjacent islands supports a wealth of plant diversity. It is estimated that the flora consists of more than 4,000 plant taxa with approximately 30% of these known only from Lower California, Mexico (the states of Baja California and Baja California Sur). China's plant life is enormously rich. Some 31,000 plant species are native to China, representing nearly one-eighth of the world's total plant species, including thousands found nowhere else on Earth. By comparison, the United States and Canada combined contain about 20,000 native plant species. China is the only country on Earth where there are unbroken connections among tropical, subtropical, temperate, and boreal forests. This unbroken connection has led to the formation of rich plant associations rarely seen elsewhere in the world. Many genera of plants which are known only from fossil records in North America and Europe are represented in China by living members. China also has the most diverse flora of any country in the North Temperate zone. Mainland China and the continental United States share a common latitude and similar-sized land areas. The climates in much of the two regions are also similar, especially in the eastern halves. Many plant species that were once widespread throughout the entire northern hemisphere were wiped out by glaciation in North America but survived in China. Nearly 120 genera in 60 families of plants have disjunct populations in eastern Asia and temperate North America, relicts of the once widespread flora. A database of information including over 20, 000 images of plants from the La Selva research station in Costa Rica. This site provides information about the flowering plants and ferns of Mozambique. This is a sister site to the Flora of Zimbabwe and Zambia websites. This site presents a demonstration of one approach to an electronic Flora of New South Wales. Data are derived from the printed Flora of New South Wales series, published by the UNSW Press, augmented with data from electronic sources maintained by the National Herbarium of New South Wales. Please note that data have not been fully checked for consistency, and are not fully up-to-date. This site is to be regarded as a prototype presented as a demonstration, and not necessarily as an authoritative resource. FNA presents for the first time, in one published reference source, information on the names, taxonomic relationships, continent-wide distributions, and morphological characteristics of all plants native and naturalized found in North America north of Mexico. This site provides information about the flowering plants and ferns of Zambia. This is a sister site to the Flora of Zimbabwe and Flora of Mozambique web sites. The principal contributors to the site are Mike Bingham, Annette Willemen, Bart Wursten, Petra Ballings and Mark Hyde. This site is work in progress towards an e-flora of Zimbabwe and is a joint venture between Bart Wursten, Mark Hyde and Petra Ballings. We expect that it will also be useful for people living in neighbouring countries, namely Botswana, Malawi, Mozambique, South Africa and Zambia as parts of their flora are similar to that of Zimbabwe. A searchable database on the unique flora of Western Australia. The Gentian Research Network is a free, not-for-profit, web-based forum for worldwide research on the natural history and evolution of the flowering plant family Gentianaceae (gentians). The Global Invasive Species Database (GISD) aims to increase awareness about invasive alien species and to facilitate effective prevention and management activities. It is managed by the Invasive Species Specialist Group (ISSG) of the Species Survival Commission of IUCN (the International Union for Conservation of Nature). The HPS is a charity that was formed to foster interest in hardy herbaceous plants on the widest possible scale. It aims to give its members information about the wealth of both well and little known plants, and to ensure that all worthy plants remain in cultivation and have the widest possible distribution. The Heather Society extends a very warm welcome to everyone entering the world of heathers, especially to newcomers who have recently developed an interest in these attractive shrubs. The Society covers every aspect of this world, from the wild heathers of European heaths and moorlands to the rare and unusual splendours of South African or “Cape” heaths, from everyday cultivation, including choosing, growing and propagating hardy heathers, to scientific studies and nomenclature. The Herb Society is an internationally-renowned educational charity dedicated to encouraging the appreciation and use of herbs in cooking, gardening, cosmetic, historical and medicinal uses for professionals or amateurs. The seed library currently holds approximately 800 accessions of open-pollinated1 varieties. These varieties have been donated by HSL members or other members of the public, sourced through past HSL projects such as The Seed Search, or passed to us by seed companies who are no longer maintaining them. Each year, approximately 150 varieties within the collection are chosen for inclusion in the Heritage Seed Library Seed Catalogue. Subscribing HSL members receive the catalogue annually in December, from which they can choose six free packets of seeds. The Home Orchard Society, established in 1975, is a nonprofit educational organization dedicated to assisting both novice and expert fruit growers, preserving heirloom fruit varieties, and promoting the science, culture, and pleasure of growing fruit at home. Hortax, formed in 1988, is a small committee of European plant taxonomists and horticulturists with a professional interest in the classification and nomenclature of cultivated plants. The purpose of this website is to provide a fund of information for the non-specialist enthusiast wishing to learn more about how plants are named, as well as a forum where questions of cultivated plant taxonomy can be aired and addressed. For the past three centuries, scientists have documented the earth’s plant and fungal diversity through dried reference specimens maintained in collections known as herbaria. There are approximately 3,400 herbaria in the world today, with approximately 10,000 associated curators and biodiversity specialists. Collectively the world’s herbaria contain an estimated 350,000,000 specimens that document the earth’s vegetation for the past 400 years. Index Herbariorum is a guide to this crucial resource for biodiversity science and conservation. The Euro+Med PlantBase provides an on-line database and information system for the vascular plants of Europe and the Mediterranean region, against an up-to-date and critically evaluated consensus taxonomic core of the species concerned. WELCOME TO THE INTERNATIONAL PALM SOCIETY WEBSITE - The Internet's comprehensive source of information on palms. This web site includes extensive information on palm horticulture, online access to over 30 years of articles published in the Palms Journal, and Principes, a gallery of images, links to other sites, links to PalmTalk - the world's most active online forum on all aspects of Palms, and much more. The International Carnivorous Plant Society (ICPS) is an organization of horticulturists, conservationists, scientists, and educators all interested in sharing knowledge and news of carnivorous plants. Since its founding in 1972, the Society has been an integral part of the carnivorous plant world. Unambiguous names for organisms are essential for effective scientific communication; names can only be unambiguous if there are internationally accepted rules governing their formation and use. The rules that govern scientific naming in botany (including phycology and mycology) are revised at Nomenclature Section meetings at successive International Botanical Congresses. The present edition of the International code of botanical nomenclature embodies the decisions of the XVII International Botanical Congress held in Vienna in 2005 and supersedes the Saint Louis Code, published six years ago subsequent to the XVI International Botanical Congress in St Louis, Missouri, U.S.A. It is written entirely in (British) English. The St Louis Code was translated into Chinese, French, Japanese, Portuguese, Russian, Slovak, and Spanish; it is therefore anticipated that the Vienna Code, too, will become available in several languages in due course. With thousands of different plants and animals, Canada is a country rich in biodiversity. But did you know that not all of these species are native to the habitats in which they live? Some of them come from other parts of the country or the world often having hitched a ride with human travelers, in cargo, on the bottom of boats and in the ballast of ships. Kew's Millennium Seed Bank partnership is the largest ex situ plant conservation project in the world. Our focus is on global plant life faced with the threat of extinction and plants of most use for the future. The seeds we save are conserved outside their native habitat.  Working with our network of partners across 50 countries, we have successfully banked 10% of the world's wild plant species. With your help, we are going to save 25% by 2020. We target plants and regions most at risk from climate change and the ever-increasing impact of human activities. Local cottagers and residents have identified the need for resources to be able to identify the good plants (native coastal plants) along Lake Huron bluffs. It is the intention of this guide to help private landowners, municipalities and landscape professionals with the tools to know the species they are most likely to encounter in a coastal bluff ecosystem, and provide a resource which will assist them in naturalizing properties along the Lake Huron bluffs. Landscape Ontario - Consumer Website-Canada. Started in 1973, Landscape Ontario Horticultural Trades Association (LOHTA) is a vibrant association representing over 2000 horticultural professionals. Our members include landscape, maintenance and snow management contractors, landscape designers, lawn care operators, garden centre owners, arborists, nursery growers, interior landscapers, and irrigation and landscape lighting contractors. LOHTA members have a commitment to maintain confidence and trust in the profession of horticulture and to encourage and support education and research within the horticultural field. With more than 2,000 professional members, Landscape Ontario is the province's premier horticultural trades association. Our mission is to be the leader in representing, promoting and fostering a favourable climate for the advancement of the horticulture industry in Ontario. Landscape Ontario is a dynamic association offering professional development opportunities, industry trade shows and conferences, consumer events and cost savings benefits. Mission Statement Longwood Gardens is the living legacy of Pierre S. du Pont, inspiring people through excellence in garden design, horticulture, education and the arts. Vision Statement Longwood Gardens is one of the great gardens of the world. We strive for innovation in horticulture and display. We present the arts in an unparalleled setting to bring pleasure and inspire the imagination of our guests. We contribute to society through excellent and diverse education programs, horticulture research, environmental stewardship, and cultural and community engagement. Here you'll find details about the Society, about membership, and about our Journal and Annual Meetings and Shows. We try to feature a different species of Mammillaria, Coryphantha, Escobaria, Neolloydia, Thelocactus or Turbinicarpus each month, and sometimes these include newly described species. "To discover and share knowledge about plants and their environment in order to preserve and enrich life." – Missouri Botanical Garden mission Founded in 1859, the Missouri Botanical Garden is the nation's oldest botanical garden in continuous operation and a National Historic Landmark. The Garden is a center for botanical research and science education, as well as an oasis in the city of St. Louis. The Garden offers 79 acres of beautiful horticultural display, including a 14-acre Japanese strolling garden, Henry Shaw's original 1850 estate home, and one of the world's largest collections of rare and endangered orchids. The Garden is located in the skirt of a mountain of the Majorca Island to 5 km of the sea and occupies an extension of 6,874 m2. It is formed by two different parts: to the left an orchard of orange trees with 4,823 m2, distributed in eight terraces, that have been transformed into a garden of acclimatization of trees, shrubs and lianas from worldwide and to the right other portion of 2,051 m2 of almost virgin mountain with the typical vegetation of the Tramuntana mountain range, including some endemic plants. The orchard counts with a system of irrigation by dripping and enjoys a microclimate something warmer than the rest of the Island, which allows to cultivate tropical and subtropical plants. The Mycology Collections data Portal (MyCoPortal) is more than just a web site - it is a suite of user-friendly, web-based data access technologies to aid taxonomists, field biologists, ecologists, educators, and citizen scientists in the study of fungal diversity. The data are derived from a network of universities, botanical gardens, museums, and agencies that provide taxonomic, environmental, and specimen-based information. The first national botanic garden of the millennium. The Garden covers 568 acres of Carmarthenshire countryside and includes a nature reserve as well as a formal garden, with Lord Foster’s Great Glasshouse as its centrepiece. The National Trust is a charity and is completely independent of Government. We rely for income on membership fees, donations and legacies, and revenue raised from our commercial operations. We have over 3.6 million members and 55,000 volunteers. More than 14 million people visit our pay for entry properties, while an estimated 50 million visit our open air properties. We protect and open to the public over 350 historic houses, gardens and ancient monuments. But it doesn’t stop there. We also look after forests, woods, fens, beaches, farmland, downs, moorland, islands, archaeological remains, castles, nature reserves, villages - for ever, for everyone. With nearly half of Canada’s entire land surface covered by trees, it’s little wonder that forests and their resources touch virtually every aspect of Canadian life. Niagara Parks' Botanical Gardens is located on the scenic Niagara Parkway and the Great Gorge, just a 10 minute drive north of the Falls. This beautiful Garden setting is home to the Butterfly Conservatory and serves as the unique outdoor classroom for students attending the Niagara Parks School of Horticulture. Established in 1936, you'll enjoy 40 hectares (99 acres) of beautifully maintained gardens, including perennials, rhododendrons, azaleas, a formal parterre garden, shade, herb and vegetable plantings, an aviary as well as our world-famous rose garden featuring over 2,400 roses. The North American Fruit Explorers (NAFEX) is a network of individuals throughout the United States and Canada devoted to the discovery, cultivation and appreciation of superior varieties of fruits and nuts. Ontario (The) Rock Garden and Hardy Plant Society- Ontario, Canada. The Ontario Rock Garden and Hardy Plant Society is a non-profit organization whose goals are to promote and enhance the study of alpine and hardy plants as well as the creation of rock gardens and other suitable plant habitats. The Society assists members in all aspects of gardening by exchange of knowledge and experience and by supplying them with information focusing on alpine and hardy plants through meetings, newsletters, tours and the web site. Additionally the Society operates a Seed Exchange that is open to all members. Established at the start of 2009, The Pelargonium & Geranium Society was borne out of the amalgamation of The British Pelargonium and Geranium Society and the British and European Geranium Society. The Society welcomes all persons who are interested, or would like to become interested, in the fascinating genera of plants named Geraniaceae. The Perennial Plant Association, headquartered in Hilliard, Ohio, is a trade association composed of growers, retailers, landscape designers and contractors, educators, and others that are professionally involved in the herbaceous perennial industry. It is professional trade association dedicated to improving the perennial plant industry by providing education to enhance the production, promotion and utilization of perennial plants. The PhyloCode is a formal set of rules governing phylogenetic nomenclature. It is designed to name the parts of the tree of life by explicit reference to phylogeny. The PhyloCode will go into operation in a few years, but the exact date has not yet been determined. It is designed so that it may be used concurrently with the existing codes based on rank-based nomenclature (ICBN, ICZN, etc.). Collaboration between the Royal Botanic Gardens, Kew and Missouri Botanical Garden enabled the creation of The Plant List.The Plant List provides the Accepted Latin name for most species, with links to all Synonyms by which that species has been known. It also includes Unresolved names for which the contributing data sources did not contain sufficient evidence to decide whether they were Accepted or Synonyms. The world’s leading garden plant conservation charity, bringing together the talents of botanists, horticulturists and conservationists and the dedication of keen amateur and professional gardeners. Through the National Plant Collections and the Threatened Plants Project, we encourage the conservation of cultivated plants in the British Isles. The Flora of New Jersey Project is a non-profit incorporated group of botanists and ecologists whose aim is to generate an up-to-date description for each of our species accompanied by distribution maps for each taxon present or formerly present in our state. The website contains but a sample of potential poison plants, not all known toxic plants are identified, nor are all known plant toxins included. It is not intended to replace medical consultation, but is intended as an introduction to the possibilities. The annual Royal Horticultural Society Plant Finder puts gardeners in touch with growers and suppliers of more than 70,000 plants compiled from the catalogues of more than 560 nurseries. The latest edition lists 3,400 new plants. Royal Botanic Garden Edinburgh- Scotland. The Royal Botanic Garden (RBG) of Jordan is a non-profit organization founded in 2005. It is located in Tell Ar-Rumman, Al Balqa Governorate, north of Amman, overlooking King Talal Dam. The Garden covers two and a half mountains (1,800 dunums / 180 hectares / 445 acres) and has more than 300 m of elevation change within its boundaries. The Royal Botanic Gardens & Domain Trust is a statutory body established under the Royal Botanic Gardens and Domain Trust Act 1980. It is responsible for the management and stewardship of the Royal Botanic Garden, the Domain, the Australian Botanic Garden Mount Annan and the Blue Mountains Botanic Garden Mount Tomah. Royal Botanical Gardens is a ‘living museum’ that acquires, collects, researches, exhibits, conserves and interprets a living horticultural collection. A key component of this role is the work done by the Horticulture Department which is responsible for the 250 acres of cultivated gardens over 5 garden areas. The department currently maintains 50 collections featuring plants of wild origin, ornamental plants and plants of scientific and conservation importance. Both woody and non-woody plants are displayed within the collections. Each collection is curated like a museum collection or exhibit and supports the scientific, horticultural educational and conservation work undertaken at RBG. The Royal Horticultural Society is the UK's leading gardening charity dedicated to advancing horticulture and promoting good gardening. Our goal is to help people share a passion for plants, to encourage excellence in horticulture and inspire all those with an interest in gardening. Welcome to the Royal National Rose Society. Since 1876, the RNRS has supported and promoted this most iconic of flowers in all manner of ways, from encouraging best practices in propagation to trialling new species. The Aims of The Saxifrage Society are to encourage the cultivation of saxifrages in gardens and an enjoyment of them in the wild. The Scottish Rock Garden Club was founded in 1933 by a small group of enthusiasts who were interested in promoting the cultivation of alpine and rock garden plants. There are now over 4500 enthusiastic members in 38 countries. The SRGC is the largest horticultural society in Scotland and considered by many to be the friendliest and most accessible in the World. This site adds a new dimension to club membership and provides non-members with a window on club activities and membership benefits. This site is packed with information on club activities and covers every aspect of the cultivation of alpines, rockgarden plants and dwarf bulbs. There are section on shows, show reports, plant portraits, feature articles etc. The links to at the bottom of the page are quite interesting and provide a plethora of information and further reading on alpines and bulbs. With more than 150 years of history, the 74-hectare Gardens holds a unique and significant place in the history of Singapore and the region. Through the botanical and horticultural work carried out today, it will continue to play an important role as a leading tropical botanical institute, and an endearing place to all Singaporeans. The Sir Harold Hillier Gardens is famous the world over. Among its outstanding features are the splendour of the seasonal planting displays set in 180 acres. There are more than 22 000 different species of seed plants indigenous to southern Africa. These are arranged into about 2 180 genera, which in turn form part of 227 families. We have described some of the more popular plants on this site. The South African Aloe and Succulent Society was founded in 1963 when a few succulent enthusiasts realised that Southern Africa's succulent richness and the wide interest in the plants necessitated a society having as its aims the conservation of these plants and the making available of both information on succulents and the plants themselves. In 1988 the name was shortened to the Succulent Society of South Africa. The Internet Archive, a 501(c)(3) non-profit, is building a digital library of Internet sites and other cultural artifacts in digital form. Like a paper library, we provide free access to researchers, historians, scholars, the print disabled, and the general public. Search this site for copies of old seed and nursery catalogues and or information on a specific plant. Over 6,122 seed and nursery catalogues have been uploaded. The International Register and Checklist, with over 17,000 entries, was originally produced and published in 2008. This took many years to compile, as the source documents were either hand written / typed lists or old nursery catalogues, some over 100 years old and produced in a number of countries around the world. Hybridisers have continued to introduce new plants and to send details of them to The Pelargonium and Geranium Society (PAGS), who are responsible for the upkeep of the Register. Tropicos-United States of America based. Tropicos® was originally created for internal research but has since been made available to the world’s scientific community. All of the nomenclatural, bibliographic, and specimen data accumulated in Missouri Botanic Garden’s electronic databases during the past 25 years are publicly available here. This system has over 1.2 million scientific names and 4.0 million specimen records. This is an excellent resource for confirmation of taxonomic nomenclature. Established in 1927 by an Act of Congress. The Arboretum is administered by the U.S. Department of Agriculture’s Agricultural Research Service. Mission To serve the public need for scientific research, education, and gardens that conserve and showcase plants to enhance the environment. University British Columbia Botanical Garden and Centre for Plant Research-Canada. University of British Columbia Botanical Garden curates a collection of ca. 12 000 plants representing approximately 8000 taxa from temperate regions around the world. Temperate forest plants of British Columbia, eastern North America and Asia are curated in woodland gardens, while a classic alpine garden displays the diverse flora of high-altitude regions of the world. UBC currently holds the NAAPC of Acer (maples). UBC Botanical Garden is a "hidden gem" where visitors can expect a quiet visit away from crowds. Visitors to UBC Botanical Garden can expect a learning experience rich with interesting plants and informative signs. An image centered plant deficiency database listing photos indexed by deficient element and scientific name of plant, list of photos indexed by deficient element and common name of plant, list of photos indexed by plant common name and deficient element and a list of photos indexed by plant scientific name and deficient element. The Useful Tropical Plants Database contains information on the edible, medicinal and many other uses of several thousand plants that can be grown in tropical regions. It is very much a work in progress, with new records being entered and older records being updated on a regular basis. Vineland Research and Innovation Centre is an independent, not-for-profit organization that was created to be a world-class centre for horticultural science and innovation. In its capacity to enable and foster relationships with industry, academia and government, Vineland works to deliver premium product and production innovations. Vineland brings a global perspective to the Canadian horticulture industry and offers a broad range of lasting benefits to stakeholders both locally and internationally. Aligned with industry needs, Vineland's research priorities and outcomes are focused on the growth of the entire horticulture industry. This interactive photographic guide will help you to identify higher plants from West African ecosystems. It contains images of ferns and seed plants taken in the field. You can browse through a taxonomic hierarchy and / or search according to selected characters you observe on your plant. Although the concept for these gardens started over 25 years ago, the task of creating and constructing them has been completed in the last 5 years, apart from running the nursery and garden centre. It has been a physical, financial and emotional struggle to continue. Of all my travels around the world, this journey has been the most challenging, exciting and rewarding experience all at the same time. It has conjured every possible emotion. Every time I have wanted to walk away from it, something pulled me back. I’m glad those dark days are behind me now. The gardens are still young but they are growing at a "tree"mendous rate. Some 4-foot trees I planted just a few years ago are now 18-20' tall. Others that were 4 inches tall are well, still 4 inches tall, they are miniatures and behaving the way they are supposed to. This website is devoted to the study of wild plants of the Land of Israel which has been a focal point of interest to people all over the world since Biblical times. Everybody who is interested in the nature and the environment of this Land will find here a wealth of information regarding all kinds of its plants. Special emphasis has been given to the linkage between the plants and the Jewish traditions and scholarly literature.